With over 2,000 Universities, and over 7 million Chinese students graduating from University each year, China has the largest network of Universities in the world. With 377,054 international students studying in China in 2014, China is now the third largest study abroad destination (after US and UK). From the beautiful campus and cherry blossom of Wuhan University, to studying at Shanghai Jiaotong University in the bustling streets of Shanghai, and studying Chinese at the Central Academy of Drama in the old city of Beijing. 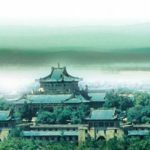 You are sure to have a unique experience in China. For further information on Chinese Universities, click the University page here. There hundreds of high quality programs in English, and short term Chinese language programs. Such as: Economics, Business, Finance, Law, or Chinese. You can study for 1 semester, 1 year, or take a Master’s or PhD program. Check out our searchable list of over 800 high quality programs in China, China Admissions also provides a free consulting service on skype to help students to choose programs, and assist you to apply. What is life like in China for international students? 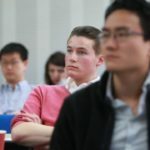 Did you know there are over 500,000 foreign students in China? It is increasing by 10% each year. China is becoming one of the most popular study destinations in the world. There are over 2000+ programs taught in English. More and more foreign students are also choosing to study in Chinese. Living in China is a fascinating experience and can suit many different types of people. With the fast pace of economic growth, there are many opportunities for work or business. Chinese people are generally very welcoming and friendly to foreigners. 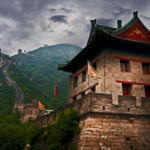 Students can learn Chinese, kungfu, table tennis, and visit the many tourist sites in China and the surrounding region. You can also enjoy the many varieties and specialties of Chinese cuising, from hotpot, to xibei, dimsum to dumplings and roast duck. 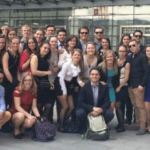 Studying in China makes for a rich life, and huge opportunities for personal growth. 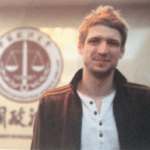 Frederick Leclarcq from UK studied the LLM Program at CUPL, here is what he said about his experience. 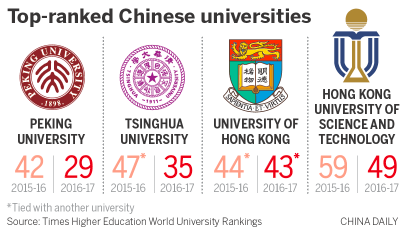 How are Chinese Universities Ranked? Many students want to know how Chinese Universities are ranked. There are 5 rankings we can look at. 3 of them are from China, and 2 are international. ARWU, CUAA, and Wu Shulian Rankings are from China. There is also the QS and THE ranking which are international rankings. They all rank the universities in a slightly different way. For example, CUAA ranks the universities based on how many billionnaires they generated. What is clear from the rankings is that Chinese universities are rising rapidly up the league tables each year. You can find more info on the rankings here. Please note that they are the rankings of the whole university, and not necessarily of the student experience for international students. Some universities such as University of Nottingham Ningbo, and Xi’an Jiaotong University do not appear in the rankings yet. More information on the Chinese university rankings is here. 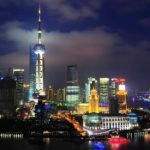 The cost of living in China is very low compared to other countries, with a wide variety of accommodation options to suit different budgets. The cost of food is also quite cheap, and there is a wide range of options. Check out our cost of living breakdown. You can also try our cost calculator here to find out how much it will cost based on your circumstances. Tuition is relatively low compared to many other countries. There are also a number of available scholarships in China. 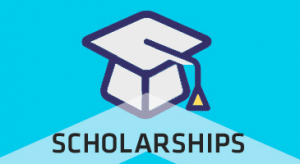 Students need to be sponsored by an institution in order to get a scholarship. The institution can be the Chinese embassy in your country or University. The scholarships are only open to students who are applying to start in September, not in February. If you are interested in scholarships, please register your interest below. China Admissions is an online platform authorised by Chinese Universities. You can find the information about the programs, choose courses and apply online. We also have support team available to help answer your questions. You can apply in one form, in one place, and it will be submitted to those universities directly. First you need to choose the courses here. Which application documents do you need? The documents you need varies according to each university and the program. 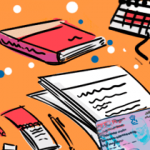 For Chinese language programs you normally need the fewest documents, normally you need to submit your passport, highest and academic transcript and a personal statement. For PhD you need to find a supervisor and you will need to write a proposal. You can find more information about the application documents here. If you don’t have all the application documents ready, you can still apply, and then send the other documents later when you have it. The recommendation letter, for example, can take some time, so it is often ok to send this later. We also have a recommendation letter tool. If you want to study in China in English and you are a native English speaker or you studied in English before at high school or University, you don’t need this. Otherwise you need to provide a certificate to show your language level. IELTS, or TOEFL are the most common, but often Universities have their own test. You can also try our International English Test which you can take online here. If you have other questions such as about the entrance requirements for each university, you can find the information on our FAQ page here. How to get the X student visa? You can get the X visa after you have been accepted by the University. They will normally send you the acceptance letter by email first. Then they will ask you to send an advance deposit towards your tuition fee. After you have paid this they will then send you the acceptance letter and visa documents to your home country. You will get a form called a JW202 form. You just need to take this to the Chinese embassy in your home country. To proceed with studying in China, you first need to choose a suitable program, and start preparing your documents. We provide a free consulting service to you. Complete the form here, and we will get back in contact to help you study in China. We hope are we can help your dreams come true!